There is no denying that Syon comes alive in the summer. 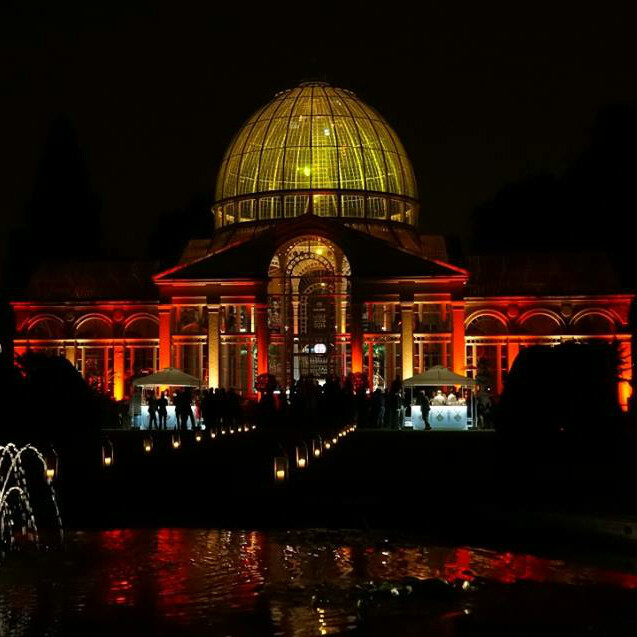 The Great Conservatory is perfect for a summer party, and music and dancing are encouraged. 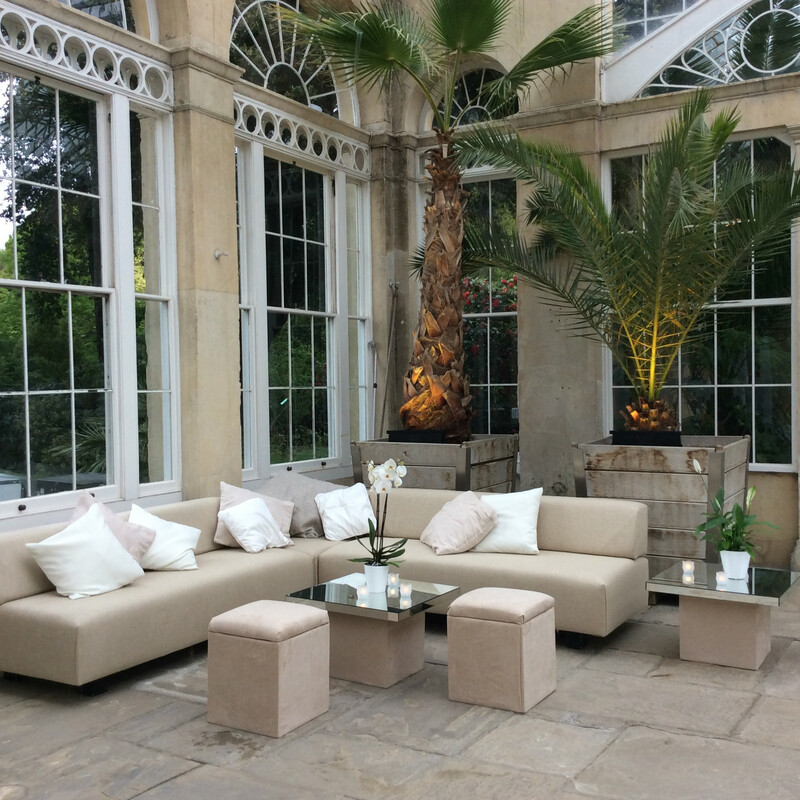 Each season the venue is offered drinks receptions, parties, dinners and private events every evening from April to mid-October. The venue can host between 50 and 160 guests for dinner, or 200 for a standing buffet affair. It has a relaxed, and yet sophisticated atmosphere, and is adorned with palms, exotic trees and flowers. The Gardens in front of the building are laid out in a series of formal paths and yew bashes, with fountain sporting a statue of winged Mercury. This area is exclusive to Great Conservatory clients. The rear of the building gives out onto the lakeside lawns with access to the main gardens too. Viewing is strongly recommended. The hire of the venue includes a choice of interior or exterior lighting (such as coloured gels or pathway lanterns) to enhance an already stunning venue. 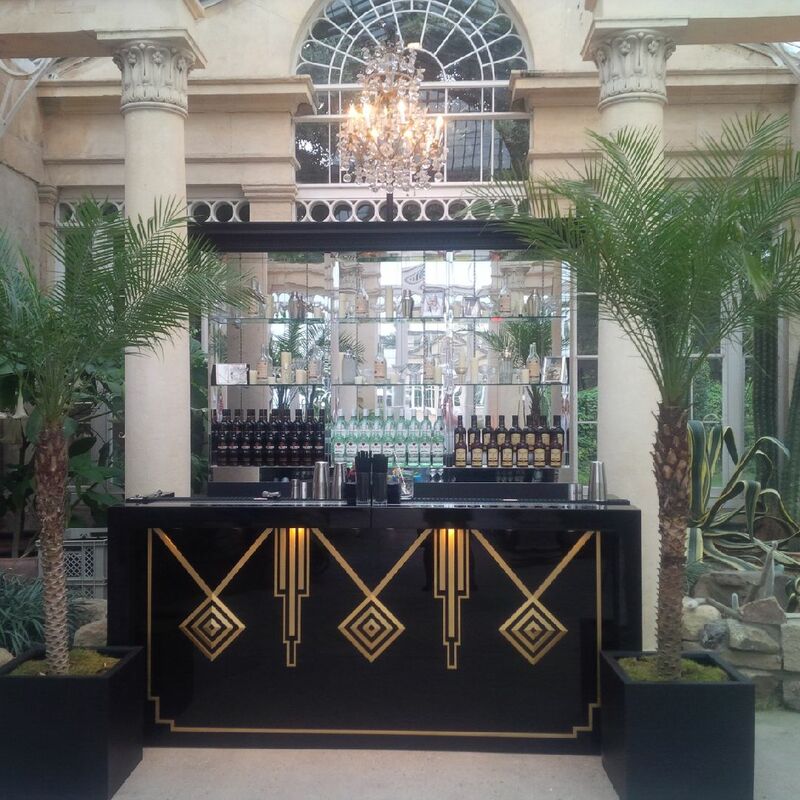 It is also possible on some occasions to offer guests drinks within Syon House itself, before they adjourn either to the Great Conservatory for dinner and dancing – or indeed straight down the stately South Lawn staircases and pretty wrought iron gate into the drinks at the Walled Garden Marquee. Simply fill out our enquiry form or alternatively call us today on 020 8560 0882 or email us at beccy@syonpark.co.uk. For larger dinners with 200 to 600 guests (possibly requiring daytime access), clients are offered the Walled Garden Marquee. 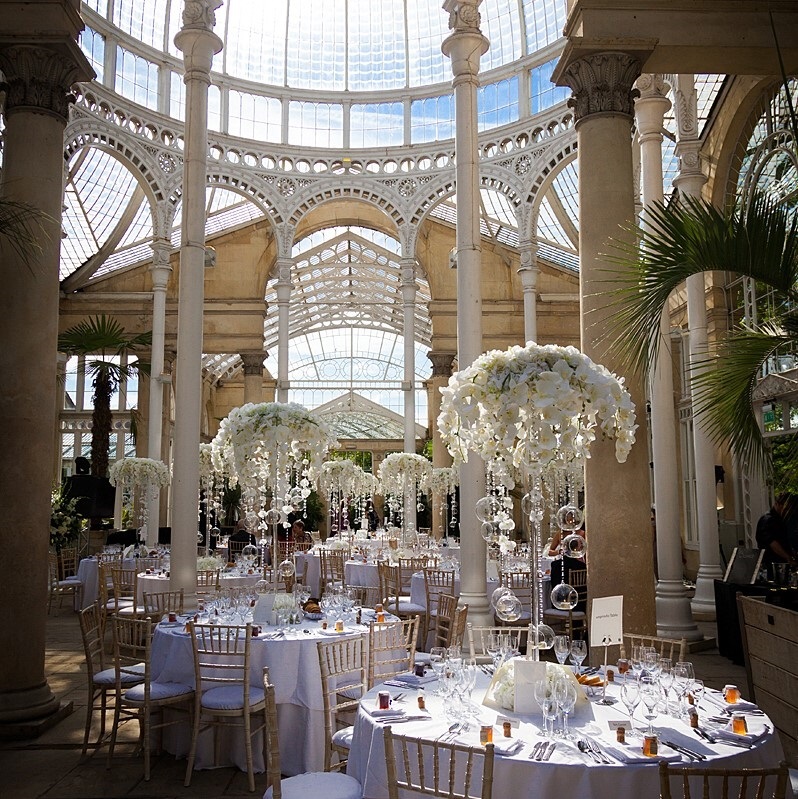 This inspirational structure is set in a private walled garden to one side of Syon House, surrounded by trees and with its own exclusive four acres of gardens. The purpose-built venue is designed with flexibility in mind, making it suitable for any event from a conference with barbecue, to a corporate dinner, an awards presentations or a family fun day. 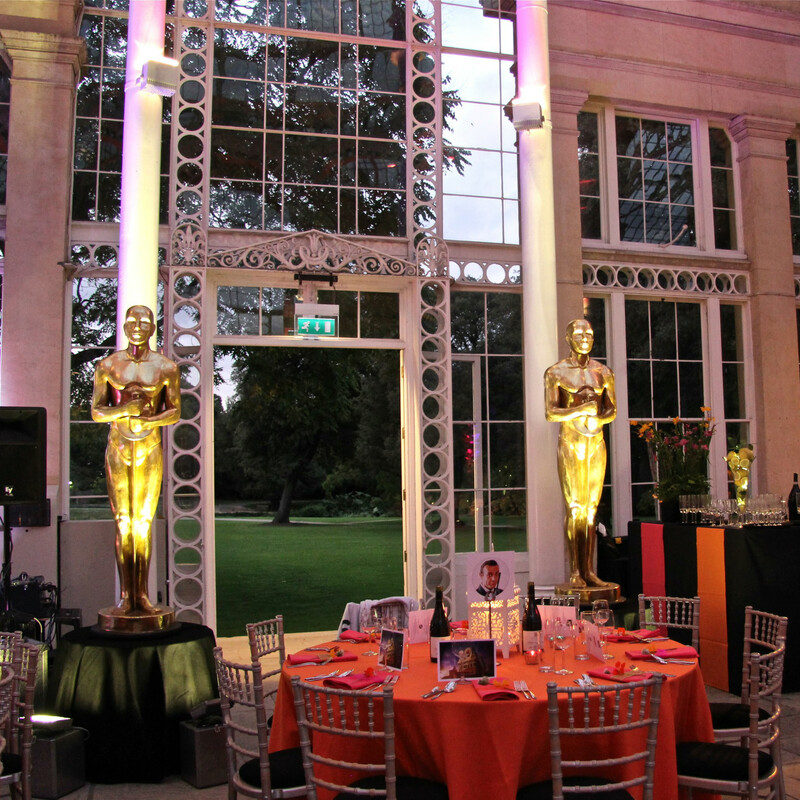 Available from May to September, it offers separate reception and dining rooms, as well as a high level of lighting and production, a dancefloor and production booth, a private garden with bar pagoda at decking set off the reception room – as well as complimentary parking for all guests. Try this link for details: www.syonwalledgarden.com.